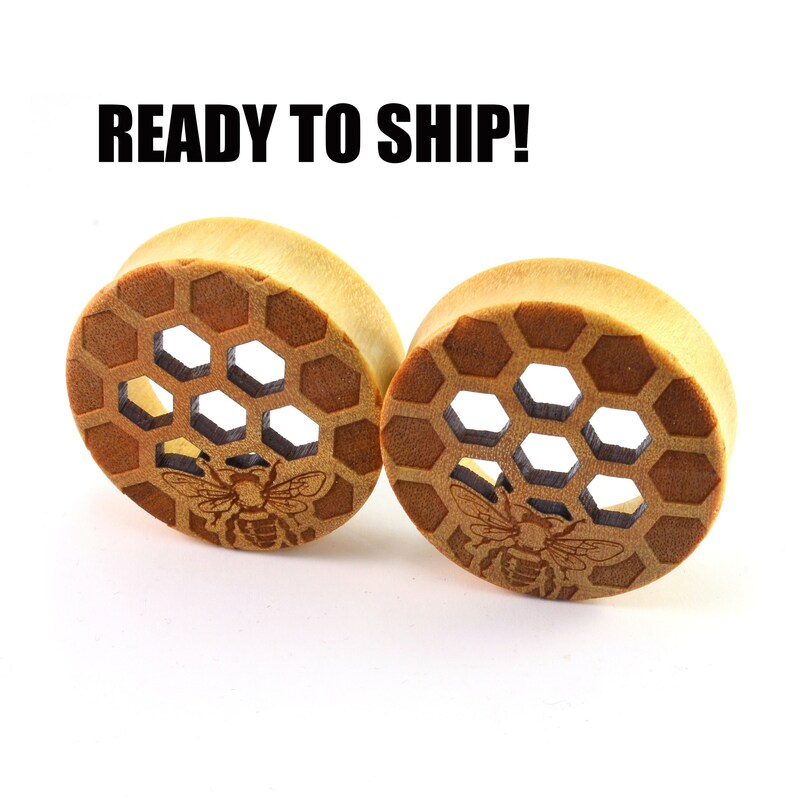 READY TO SHIP - 1 1/2 (38mm) Yellowheart Honeycomb Cutout Bee on Both Wooden Plugs - Pair - Premade Gauges Ship Within 1 Business Day! READY TO SHIP - 1 1/2" (38mm) Yellowheart Honeycomb Cutout Bee on Both Wooden Plugs - Pair - Premade Gauges Ship Within 1 Business Day! 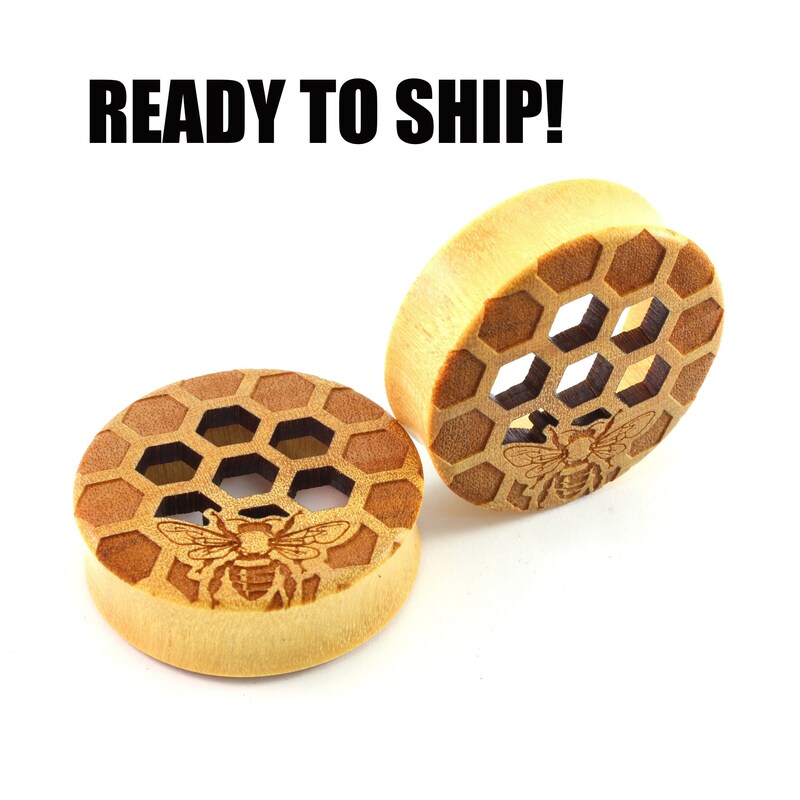 These wooden plugs are made of Yellowheart wood with Honeycomb Cutout design and a Bee on both plugs. They have a wearing size of 1 1/2" (38mm).